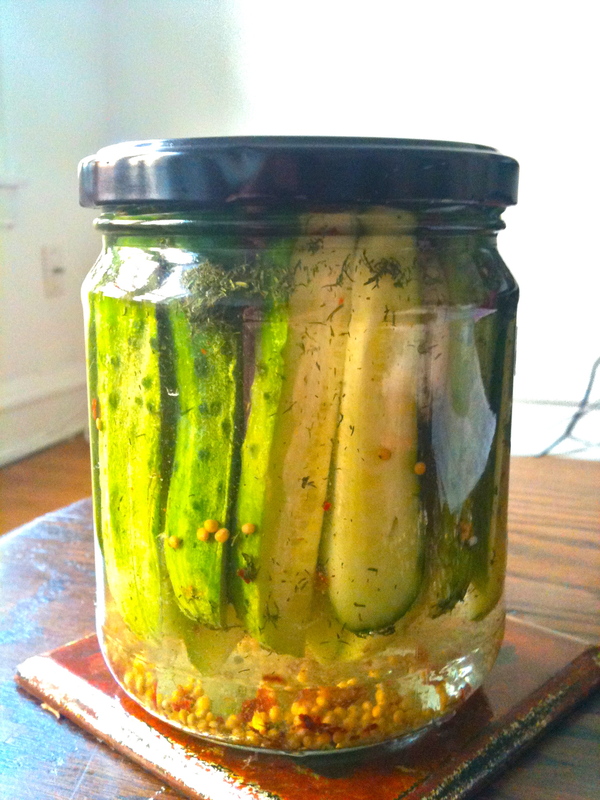 When I found myself in possession of some cute miniature pickling cucumbers, I wanted to try making pickles in my humble little apartment kitchen. Canning your own food is an art—-and it’s an art I have not mastered. I’d love to get the proper equipment and learn to home-can, but for now, this method will do the trick. The bright cucumbers and spices make for such a pretty jar in your fridge, and they crunch and taste just like store-bought pickles! This recipe will make a jar of garlicy dill pickles with a bit of spice, and while they won’t last as long as the properly-canned kind, they’ll keep in your fridge for about 3-4 weeks of crunchy pickle goodness. 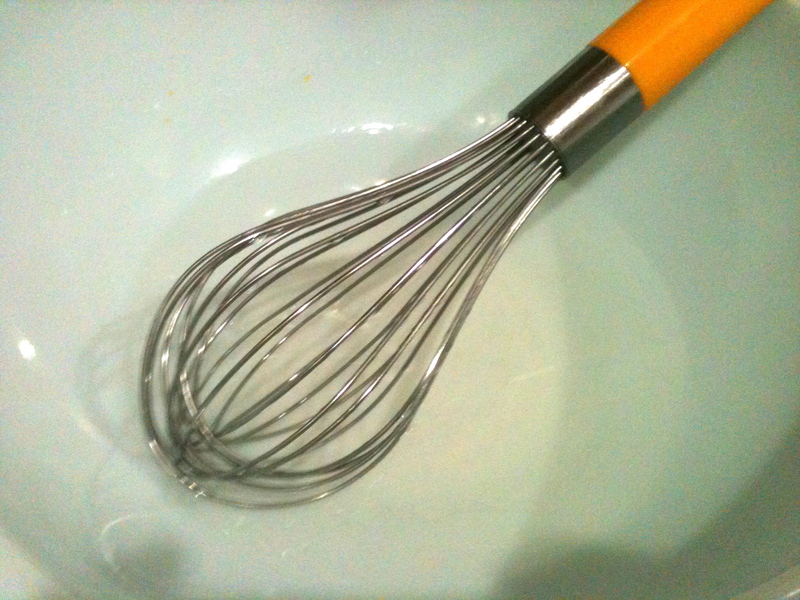 In a stainless steel or teflon pot over medium heat, whisk together vinegar, salt, and sugar until dissolved. Pour into a bowl and whisk in cold water. Refrigerate the brine until chilled. Fill a clean jar (I used an old salsa jar and they fit perfectly) with cucumbers. 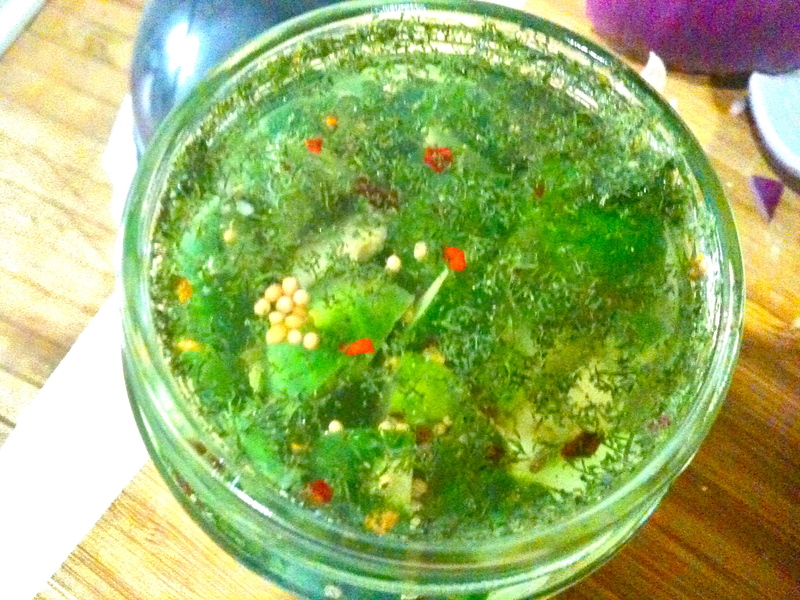 Sprinkle the flavorings around the jar and then pour in the brine. Refrigerate at least 24 hours before you dig in. Try your pickles on a Chicago dog or with a buffalo chicken grilled cheese! Previous Best Ever Home Fries. Oh that’s so easy! Pickles are a favorite of my roommate’s, I wonder if she’s ever tried that out. Good idea! 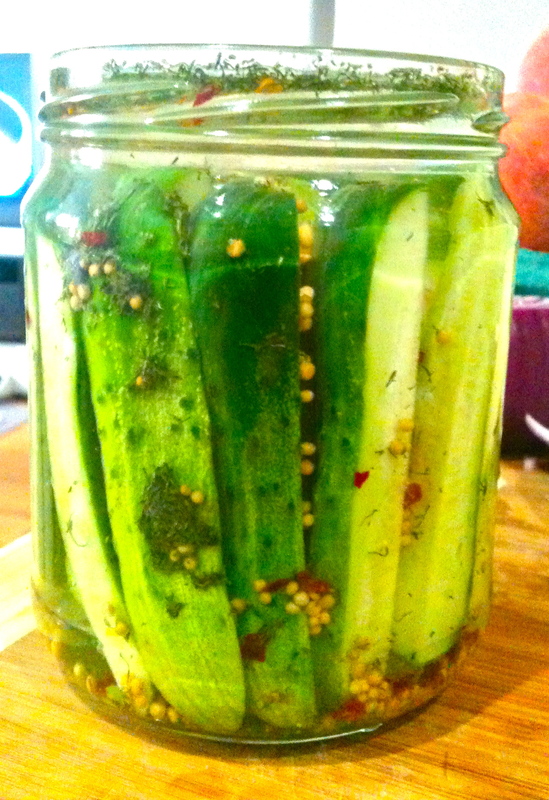 Hi Kelly – Thanks for recommending a pot with a Teflon® non-stick coating for your Homemade Pickles. I represent DuPont and it’s always a pleasure to see people recommending our products.